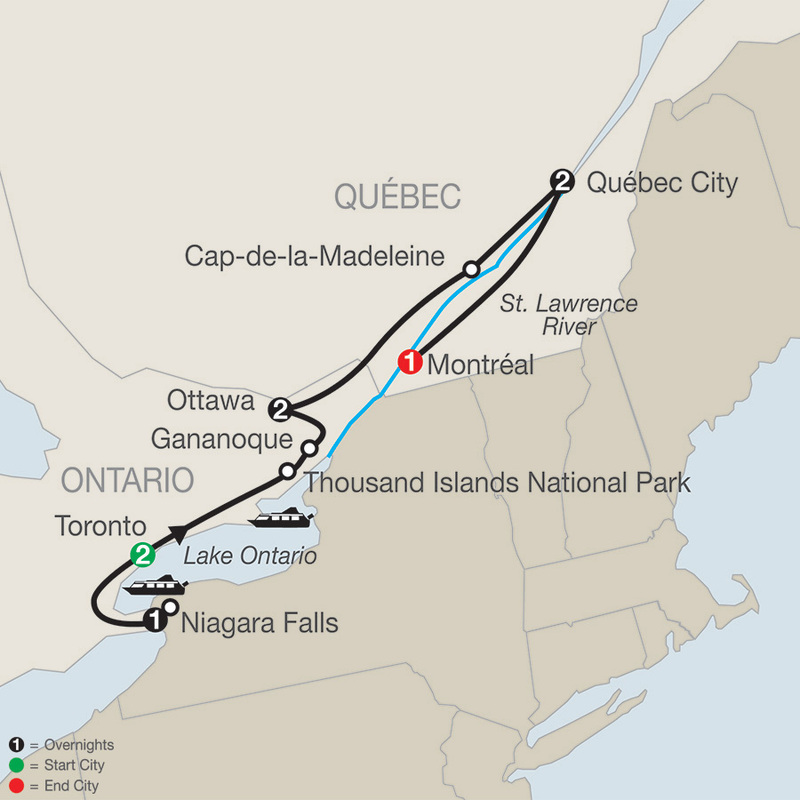 This tour of Eastern Canada offers a balance of guided sightseeing tours, leisure time, and a mix of historical, natural, and cultural offerings. It’s an unforgettable vacation! Enjoy the spectacular fall colors of Ontario and Québec on our special Fall Foliage departures: September 13–26 (if Mother Nature permits). Welcome to Toronto, Canada’s largest and most cosmopolitan city. At 6 pm, meet your traveling companions for a welcome drink. 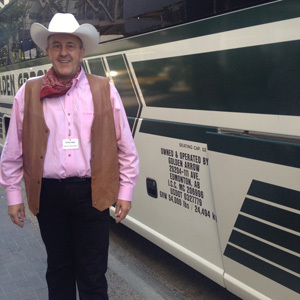 Your Tour Director prepares you for your upcoming adventure. This morning, enjoy a sightseeing tour. Highlights include the Legislature Building; the ethnic neighborhoods; the University of Toronto; and Eaton Centre, the city’s number-one tourist attraction, with more than 300 stores for world-class shopping. The tour concludes with lunch atop the 1,815-foot-tall CN TOWER, where you’ll enjoy incredible views of the city and harbor below you. Leave bustling Toronto and travel along the shores of Lake Ontario to Niagara Falls. 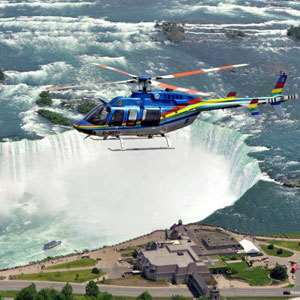 For the adventurous, your Tour Director will suggest optional flightseeing over the falls. Then, board a sightseeing CRUISE for a thrilling ride to view the thundering falls from river level. Later, visit picturesque Niagara-on-the-Lake, where there is time to browse the shops of Main Street and visit a local WINERY for a tour and tasting. Tonight, you may wish to see the illumination of the falls as they are lit in every color of the rainbow. A special treat not to be missed! Travel this morning to Gananoque, where you’ll board your boat for a lunch CRUISE through the waterways of THOUSAND ISLANDS NATIONAL PARK. Continue to the nation’s capital of Ottawa, pleasantly framed by the banks of the Ottawa River and the Rideau Canal, for a 2-night stay. Dinner this evening is at a local restaurant. Morning sightseeing includes the Canadian Mint, the residences of the Governor General and Prime Minister, and Parliament Hill. Enjoy a delicious Canadian specialty, a BEAVERTAIL, a pastry stretched to the shape of a beaver tail with toppings added. The balance of the day is free. You may wish to visit the world-renowned Canadian Museum of History, shop for souvenirs, or spend time at the National Gallery of Canada. For dinner, maybe visit lively and colorful Byward Market and choose from its array of specialty restaurants. Drive north this morning to Cap-de-la-Madeleine for a visit to the BASILICA OF OUR LADY OF THE ROSARY, a national shrine famous for its fine stained-glass windows. Time to stroll through the grounds of the sanctuary and see the miraculous Madonna in the old chapel. Continue your journey to romantic Québec City, one of the most historic and best-preserved cities in North America. This evening, enjoy regional FRENCH CUISINE at a special dinner in Old Town Québec. This morning, enjoy an included guided tour of Canada’s only walled city. Until the British victory of 1759, Old Québec was the center of New France; today, it’s a UNESCO World Heritage Site. Within the walls are Place d’Armes, Laval Seminary, and ancient Place Royale. Also, see the old-world houses crowding the narrow streets in Lower Town by the St. Lawrence River and historic Plains of Abraham. This afternoon is free for independent activities. Maybe explore the historic sites, take a carriage ride, or stroll the streets of Old Québec City. 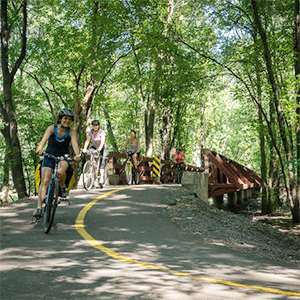 Your Tour Director will have suggestions for additional sightseeing, shopping, and dining. 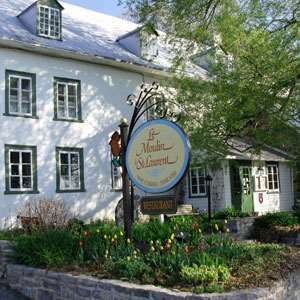 This evening, consider an optional dinner that includes a visit to 274-foot-high Montmorency Falls and takes you over to Ile d’Orléans, where you’ll enjoy a delightful dinner at Le Moulin de Saint-Laurent, a restored 17th-century flour mill. Before leaving Québec, we’ll stop at a SUGAR SHACK for a guided tour to learn the art of making maple syrup and to enjoy a traditional sugar shack breakfast. On to Montréal, where sightseeing with a Local Guide takes in NOTRE DAME BASILICA, the Old Seminary of St. Sulpice, and a drive to the top of Mount Royal to enjoy a panorama of the city. This evening, enjoy a farewell dinner in the heart of Old Montréal—the perfect ending to your vacation!